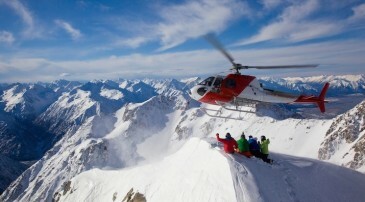 With the Southern Alps running smack bang down the middle of the South Island, and a huge snow covered volcano in the North Island, New Zealand has no shortage of ski areas to play on. But what is skiing or snowboarding in New Zealand like? 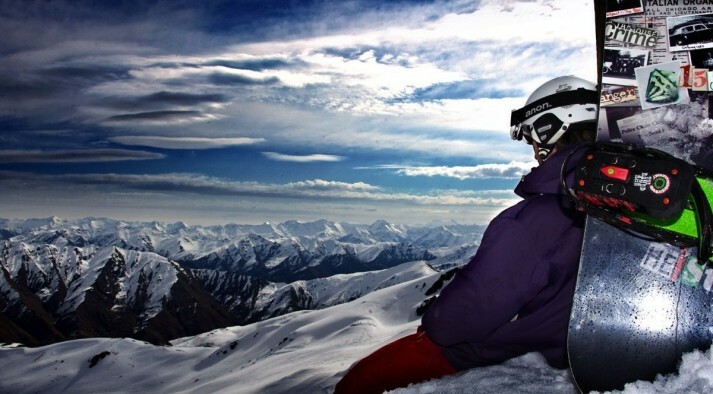 Below is our not so in depth guide to ski resorts in New Zealand. First of all let me just say that if you come to New Zealand expecting lifts with heated seats and 5 star restaurants on the snow you will be waiting here for a while! 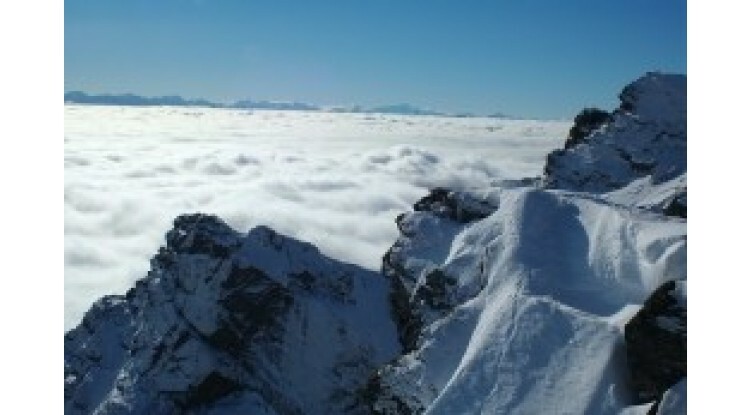 New Zealand ski areas provide no frills skiing at its best. There are no furry one piece ski suits here (unless you count TC Cat!). The ski areas in New Zealand are generally located up some pretty hairy roads which are predominantly dirt or gravel, rather steep, with the occasional large drop-off - don't worry though, this all adds to the sense of adventure and excitement! Other than a few on mountain apartments at Cardrona there is no ski-in ski-out accommodation at any of the commercial fields. Your lodgings will be down in the closest town, whether that be Wanaka, Queenstown, Methven,or Ohakune in the North Island. The Canterbury club fields are a different kettle of fish but more about them another time. If you usually ski in North America or Europe and are used to entire villages at the base of the mountain, then imagine the opposite and you will get a pretty good idea of a New Zealand ski resort! The base areas in New Zealand consist of a couple of buildings in which are housed lift ticket and ski school sales, a café or two, maybe a small shop, and a place to hire your equipment. All of the apres ski action happens in town, and if you like to party you can't get much better than Queenstown or Wanaka for a great night out! What the resorts lack in terms of infrastructure they definitely make up for in other ways. The ski areas themselves are fantastic. Although much smaller than most Northern Hemisphere resorts, they manage to pack a wide range of terrain into the space they occupy. All of the ski areas are above the tree line which means that the terrain is completely open. You can encounter anything from wide rolling bowls, to natural half pipes, to steep drop-offs, chutes, and cliffs. The areas are jam packed with natural terrain features so if you like to cruise around and have fun this is the perfect playground. Whatever level of skier or snowboarder you are, you will find terrain that brings a smile to your face, and joy to your snowy soul! There are a couple of world class terrain parks in the South Island with Cardrona and Snow Park both boasting some huge hits, half pipes, and a variety of rails and boxes. Cardrona and Snow Park both use the Global Cutter to cut their pipes, the same machine used to shape the pipe used in the Vancouver Olympics. If you like chucking yourself off big things you won’t be disappointed. In fact Wanaka is the favourite place for many Northern Hemisphere riders to train during their summer. Don’t be surprised if you catch a glimpse of Shaun White at the top of the pipe, or practicing his cricket in town. The views and scenery from all of the ski areas are absolutely stunning. 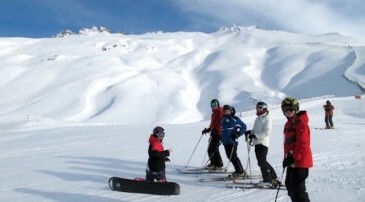 The atmosphere is chilled and relaxed, and ski area staff are exceptionally friendly. There are endless opportunities for off-piste, out-of bounds skiing and snowboarding but you obviously need to have to right gear and experience to tackle it. If you are the type of skier or snowboarder that doesn’t need pampering, and likes a challenge then New Zealand is definitely worth checking out. From the epic club fields in Canterbury (a favourite of Glen Plake) to the magnificence of the ski areas in the Wanaka/Queenstown area you will be rendered speechless by the beauty of the South Island. In the North Island you have the opportunity to ski or ride on an active volcano and its lift accessed glaciers, with none other than a view of Mt Doom in the background (thats Mt Ngauruhoe to Kiwis). 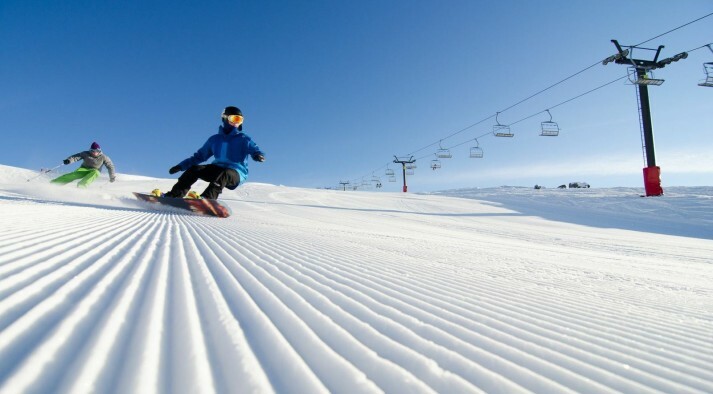 Provided you can get some reasonably priced flights, skiing or snowboarding in New Zealand is very affordable and you will leave grinning from ear to ear from the experience!